From free WiFi to state-of-the-art laundry facilities to our own in-house Lounge, Ocean Island Inn has everything you need to explore Victoria in comfort and style! Ocean Island is delightfully unique! 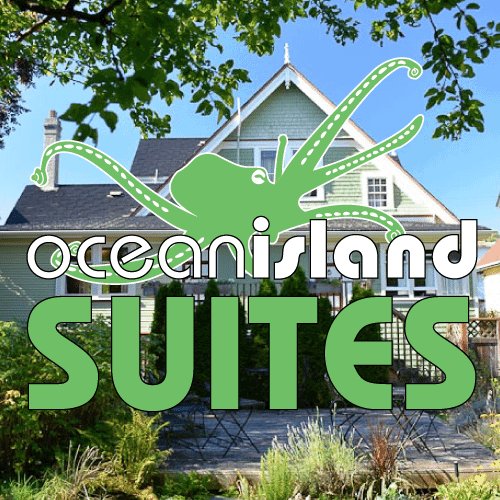 To see how we differ from a standard hotel, check out our Ocean Island Inn vs. Hotels page. We’re here 24 hours a day to make you feel at home, give you the insider’s tips on the best places in town, and laugh at your jokes. We serve up a delicious continental breakfast every morning from 7:00am – 10:00am. Enjoy coffee, tea, juice, bananas, oatmeal, hard-boils eggs, whole wheat toast, blueberry waffles, and a selection of spreads including: peanut butter, jam, Nutella, cream cheese, & marmalade. We serve up a delicious free dinner every evening from 5:00pm – 8:00pm. Enjoy two options every night, such as Indian-style Curried Lentils, African Peanut Stew, Thai Coconut Curry, Penne Pasta with Tomato Basil Sauce and more! No time for breakfast? Grab some coffee or tea from our beverage station, available 24 hours a day. And for those colder days, we also have some hot chocolate for ya. Just grab a mug from the communal kitchen and fill it up! A Phillips Kolsch beer at our Lounge is now included in your stay from 6:00 pm - 10:00 pm. Don't like beer? We have six lovely, private and newly renovated bathrooms on each floor (23 in total) for you to choose from, so you’ll never have to wait to enjoy our abundant hot water. If you don’t like to share, some of our rooms have en-suite bathrooms. We are just blocks from all the downtown attractions and amenities! Ocean Island has it all: everything from dorm beds to apartment-style suites! Why stay in your room when you can come downstairs and enjoy our stylish and comfortable lobby and dining room? Kick back with your laptop, play some Jenga, or chat with other travellers while you enjoy a drink or bite to eat. Our modern kitchen has all the equipment you need to whip up a delicious meal and is open 24 hours a day. Open from 5 till 11 pm, our lounge features a wide variety of beer and daily drink specials, all at the best prices in town. This is the place to relax, meet fellow travellers and make new life-long friends. We'll see you there! Unlimited free high-speed wifi available throughout Ocean Island, including in all rooms – great for Youtube, Skype, Netflix, and so much more! Don’t have your own mobile device? We also have super cheap ($2/use, up to 1hr) pay-per-use internet terminal available for your convenience. Need something printed? We offer black & white printing at our front desk for $0.50 per page. 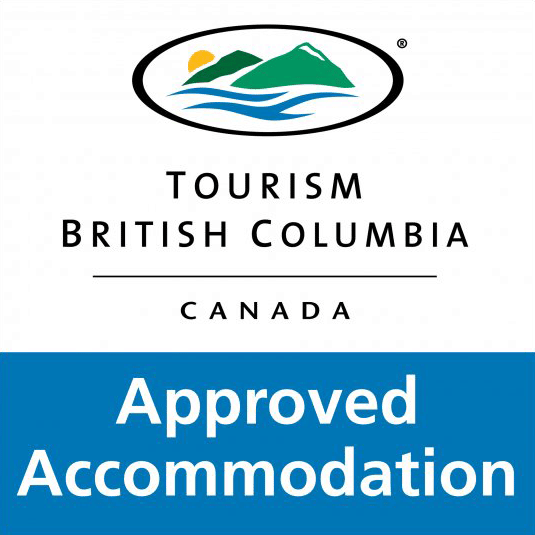 We have all the travel info you need to get the most out of your time and money during your stay in Victoria. 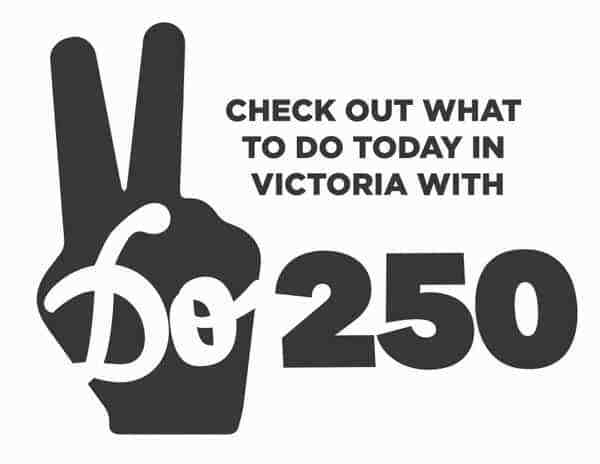 We even wrote the most complete online guide to Victoria for our guests. 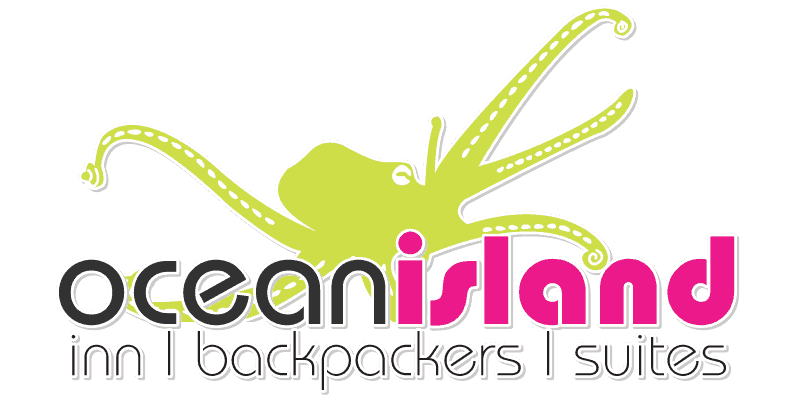 As a guest of Ocean Island, you’re eligible for discounts at local businesses, tours, and more! You can store your bags in our self-serve lockers downstairs while you're off exploring for the day, and store your bike safe & sound in our basement lockup facility. Just ask the front desk for a bike tag. Our two beautiful vending machines offer an astonishing array of yummy snacks & cool beverages 24/7. Our modern, large, front-loading washers and dryers make laundry a breeze. For only $5.00 for a wash and dry (and $1.25 for soap), it’s cheaper and more convenient than going to a laundromat. We also have irons and ironing boards available. We have on-site parking available for $10 a day, or right near-by for $12 a day. See detailed info on parking options. You can enjoy some privacy in our “Mystery Room”, a mini movie or chillout room for you and a couple of friends. It’s got a comfy couch, sound system, and Netflix. The room is also soundproof, so if you need a place to Skype in privacy or just somewhere to have some peace and quiet this is the room for you! If you wish to have some time in the Mystery Room please talk to the front desk when you would like to use it. It is available 24 hours a day. 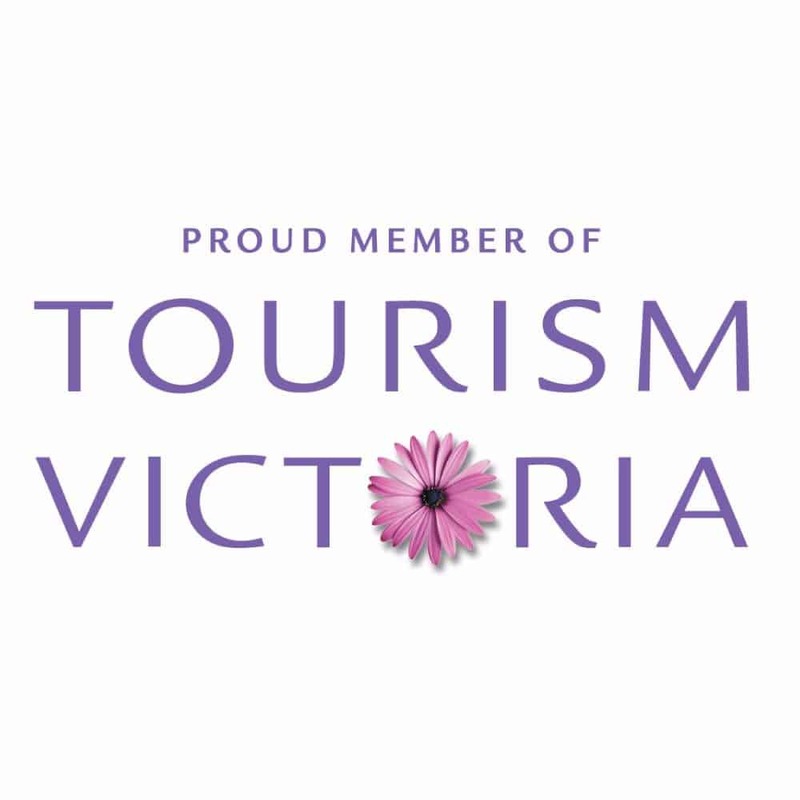 Built in 1891, our landmark building is an integral part of the history of Victoria. We converted this heritage building to its current use in 2000 and we are continuously updating en renovating it, so it can accommodate our guests in comfort and style. 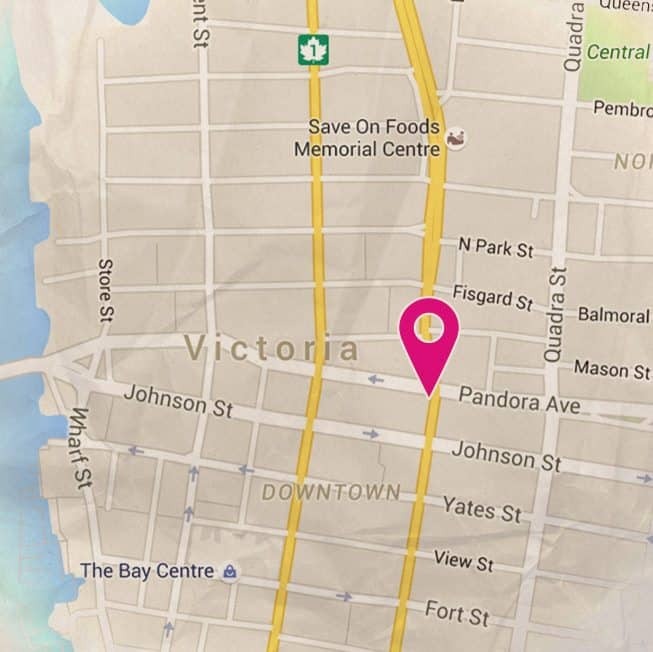 Before it was an inn, our beautiful building on the corner of Blanshard and Pandora was an apartment building. Before that it was a hotel, originally called “the Kaiser”... but the name was changed to “the Allies” during the First World War. True story. We did some major renovations in 2000, to modernize and upgrade it. The local historic society considers our building an important example of historical architectural styles and has supported us in maintaining its old-time look, and we’ve added a forest mural on the wall to reflect the local beauty so many travelers come for and give it it’s own special vibe. We’ve trekked to remote villages in Bali and Java to bring back the funkiest, most colourful, master crafted old school art. Really. There are masks, sculptures and photos from some of our global journeys.